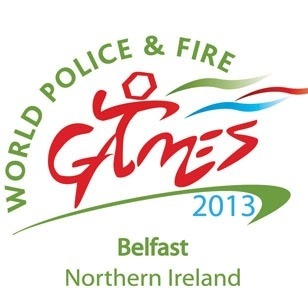 So for anyone that didn’t know, the World Police and Fire Games were held in Northern Ireland this year. It was a strange sight to see police officers dandering about without a care in the world, their occupation blazoned across their backs. Well it was certainly strange for here anyway, given our unusual situation. According to the news reports a good time was had by all, people loved our little country, some even electing to stay a little longer and sightsee when the hype was over and the games had finished. Being a constant worrier I don’t watch the news much, but one night I happened to catch a snippet of a report about a married couple, who were FBI and had travelled over for the games. The reporter when finishing the interview advised them to visit some of the local pubs and enjoy the craic. I’m not sure the gentleman understood what she was meaning, but he laughed and said he would indeed. Oh how I laughed! Good on ye sir! Would be especially embarrassing if you worked for the DEA!